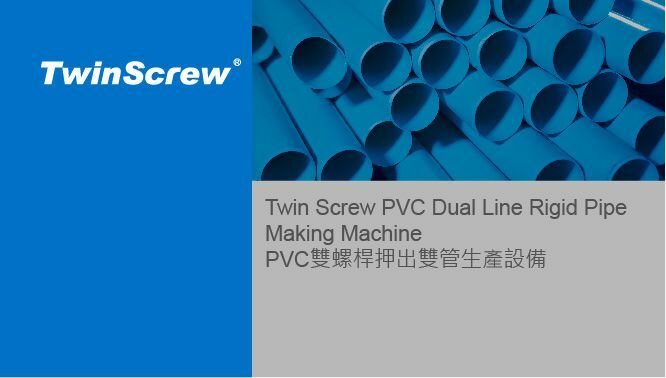 For twenty-eight years, TwinScrew has been designing and manufacturing fully computerized lines for pipe extrusion. 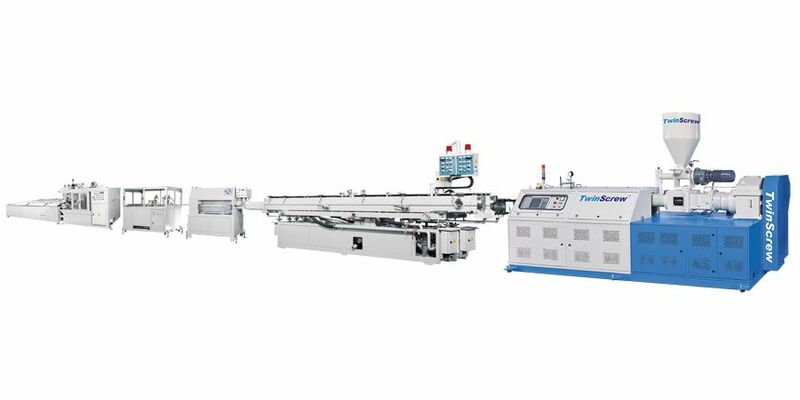 PVC pipe extrusion line is one of our specialized items. The Parallel twin screw extruder has newly developed for its technologies in UPVC pipe extruded by increasing in the drive torques and innovative solutions to problems in politicizing, screw thermoregulation by self-regulating, sealed water cooling system, vacuum scavenging system and melt pressure control. One line equipment includes Main Extruder,Vacuum Spray Cooling Tank,Haul-off Machine,Automatic Traveling Saw, Automatic Belling Machine (or Down Table). 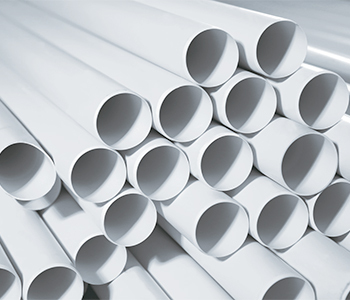 The concept of the spider die guarantees outstanding product characteristic for PVC material.